In early November the TCI Expo 2018 took place in Charlotte, North Carolina. The TCI is known as the biggest tradeshow for arborists in the world. Since 1990 arborists from all over the world meet once a year in a different location in the USA. For three days they come together to hear about news, refresh their knowledge and exchange ideas. Every year Freeworker also gets on the plane to look after new and interesting products for treecare and arborists at the TCI Expo. 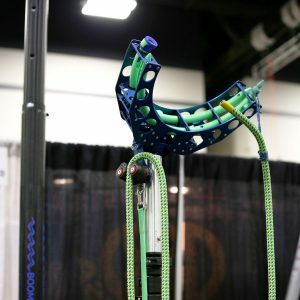 As second certified system for Single Rope Technique after the Rope Wrench Kit, petzl officially presented the Chicane in combination with the new ZigZag or the ZigZagPlus (with movable swivel) officially at the TCI Expo 2018. Already at the GaLaBau Nürnberg in September the Chicane could be seen at our booth. The Chicane should fit both the ZigZag and the ZigZagPlus and is certified on both products. The future will show how well SRT is received in Europe. Teufelberger presented the next generation of the Treemotion. 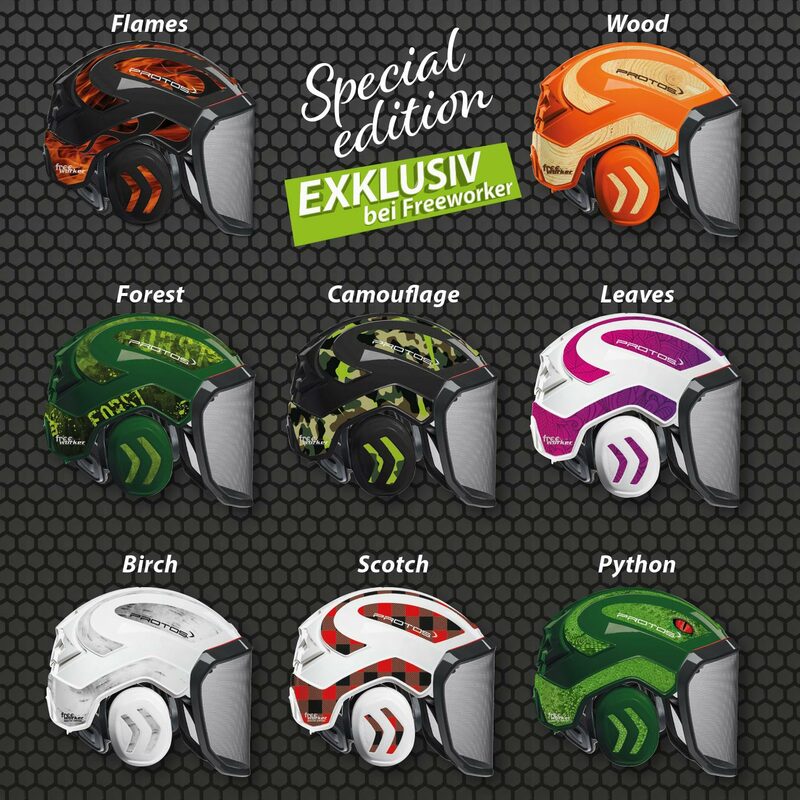 The Treemotion Evo replaces its predecessor and offers different interchangeable bridges in the future. For the climber this means a multitude of options to configure the harness according to his needs. As standard it is equipped with two knotted rope bridges. In practice, the user can use these redundantly or separately. An interchangeable insert makes it easy for the climber to change the different bridges himself. As an alternative, Teufelberger announced a central bridge or rope bridges with stitched eyes. DMM and Treemagineers presented a prototype to make life more comfortable for the arborist high up in the tree. The Transformer fits all Treemotion harnesses and can be installed on any rope bridge. It dispenses the weight of the climber, so that the pressure on the hips is reduced. As a side effect, it shortens the bridge and brings the climbing system closer to the climber’s body. The transformer has a swivel that will probably have three different ways to be locked. The climber can decide with a flick of the wrist whether to allow 360 degree rotation, 180 degree rotation or no rotation. Rock Exotica presented the new model of the Akimbo rope safety device at the TCI Expo. The launch is scheduled for the beginning of 2019! Unfortunately the Akimbo will only be launched in the USA for the time being. A CE-certification, which the device would need for the European market, is not in sight. According to the manufacturer, it is planned to certify the Akimbo later. When this will happen, there is still no reliable information available. The Rigging Wrench connects a roll with ISC’s Rope Wrench through a short movable piece of metal. The combination creates a device suitable for lowering light loads from the canopy or the ground. The Rig N’ Wrench even allows loads to be lifted. Thompson Tree Tools presented a great novelty. A throwing hook, which is easy to fasten and lays itself stable and around the branch without slipping to the sides. With little practice the Hook can be fastened unerringly. A throw, a swing from the wrist and the links of the steel hook lie close around the branch. Even with horizontal branches the hook stays on its place. When the hook is no longer needed, a swing from the wrist is enough to release the rope. A simple and effective system to install a second anchor point (not a primary anchor point!). Arbortec announces a completely new form of chainsaw protection trousers. The trousers consist of two layers, the inner layer containing the chainsaw protection. The outer layer is exchangeable. The innovative system has a major advantage: Comfortable chainsaw protection trousers for different jobs. In addition, the cost-intensive inner part of the trousers is protected against weather, dirt and thorns. The cheaper part, the over trousers, can be easily exchanged and customized. The new chainsaw protection trousers are available in three protection categories. The over trousers will be available as rain trousers, work trousers, light summer trousers and other variants. An interesting invention for the arborist without throwing experience. A pole, which looks like a slingshot, but lays the rope unerringly over every branch. The Boomerope can be extended up to nine meters and lays the rope around the branch by means of a semicircular shaped transfer click system. A time-saving helper for situations in which the rope is very difficult or impossible to throw in. We will see, whether the planned sales price of 1200$ is justified.